Neither mass market-proposition nor cost-no-object high-end deck, the UDP-203 has landed with a retail price of £650. This still makes it the most expensive 4K disc spinner around. The question is: is it worth it? And what does your money get you? Firstly, it gets you a universal machine. The UDP-203 will play Super Audio CDs and DVD-Audio discs, as well as DVDs, 1080p Blu-rays and their UHD cousins. This is an entirely sensible move by Oppo, as it makes the player an effective replacement for the also universal BDP-103D. Not that all features remain the same. Gone, for instance, is Darbee post-processing, plus any video-on-demand apps. You'll need another avenue for iPlayer, Netflix, etc. Connectivity is slightly different too; while the player still offers HDMI in as well as out, there's now only one input (rear-mounted) as opposed to two. USB inputs have been upgraded to 3.0. The player's full list of connections runs to: dual HDMI outputs, that single rear-mounted HDMI input; a trio of USB ports (one on the front panel); optical and coaxial digital audio outs; stereo/multichannel (7.1) analogue out; Ethernet; and RS232, IR and trigger terminals. There's also built-in Wi-Fi. As before, the Oppo packs media player functionality, both locally and over a network. File support includes hi-res FLAC, ALAC, WAV and DSD, buoyed by an onboard AKM AK4458VN eight-channel 32-bit DAC. Styling of the player is practically identical to the BDP-103D. Power, eject and transport controls adorn the brushed metal exterior. The disc tray is located centrally. The player is full-width, and reasonably hefty. It feels very much like a relative of the Oppo machines that came before it. During my review time with the UDP-203 I pulled two firmware updates down from the mothership. The first, I'm told, rectified a playback issue with Sony projectors. The second tweaked all manner of features (full lists of what gets added by updates can be found on the Oppo website). A third update (UDP20X-38-0222) has also been released. Oppo seems to be heavily involved in ironing out bugs and tuning performance, and owners are advised to keep an eye on firmware patches coming down the pipe. Perhaps the most important update is still to come, of course – the one that will enable the deck to play forthcoming UHD Blu-rays with Dolby Vision HDR. Oppo was at first coy about this when the player was unveiled in late 2016, suggesting it was a possibility, but has since confirmed the update will be made available this year. Once available firmware was in place, the UDP-203 fulfilled its promise as a quality disc-player. Some issues were resolved, ranging from the minor (at first the user interface didn't 'wraparound' so that once on the far right side of options, you had to traipse all the way back to the left side) to performance-affecting (a curious, infrequent stuttering, noticeable with Ghostbusters before the update but unable to replicate after). With I Am Legend (UHD Blu-ray), the Oppo reveals a steady hand and clear, high-pixel count glory. As Will Smith stalks the deserted streets of Manhattan, textures in the background buildings and abandoned cars are widely apparent, and close-ups of his face as he readies his hunting rifle show the pits in his skin and where he's missed a bit with his razor. Sunlight reflecting from windows and rays piercing through skyscrapers zing in that HDR way. Crouching Tiger, Hidden Dragon (UHD Blu-ray) is an even better showcase, with the Oppo lapping up its pristine, filmic 4K transfer. There are scenes and shots in this remastered cult classic that look simply exquisite here, with exemplary detail, lush primary colours and fine shadow rendition. Of course, the varying quality and subtleties of 4K HDR platters can make for a somewhat maddening experience, so where the UDP-203 will appeal to tweakers is with its user video adjustment tools, which are the most comprehensive seen on a 4K deck to date. Firstly, the player has a selectable 8-bit, 10-bit or 12-bit output (plus an automated setting via HDMI handshaking). This allows you to choose the option best-suited to your display. Typically, 10-bit (that which UHD BDs are mastered to) would be a sensible default. Selectable colour sampling rates (4:2:0, 4:2:2 and 4:4:4) are also offered. Again, there's an auto setting for those happy to be put in the Oppo's hands. Also useful is the player's ability to run HDR in SDR conversion mode, regardless of the abilities of the display at the other end (something Samsung's UBD-K8500 can't do). But there's another mode on the menu (Strip Metadata) that's not mentioned in the user manual at all. This is described by Oppo as an 'experimental feature' (and still being tweaked), designed to be used by projector owners who want to avoid their beamer kicking into high lamp mode, but retaining the BT2020 colour space and wide colour information of a 4K disc. Of course, as the HDR metadata contains the EOTF (electro-optical transfer function) that directs the projector to map data to suit colour and luminance properties, Oppo suggests PJ owners set up a calibrated user profile to compensate. 'For an average user or customer with flatpanel display, we really do not recommend using this option at all,' is the brand's warning. And with good reason: activating it with I Am Legend out of curiosity resulted in a complete drop in brightness levels so that the image was painfully dark. Further image adjustment parameters include brightness, contrast, hue, saturation, sharpness and noise reduction. Typically, BD deck owners will give these a steer, but if you've found the overall brightness levels of some HDR material too dark, the sliding tool could be useful. With 1080p material, the Oppo's upscaling works exceptionally well. At the player's heart is a new MediaTek chipset that seems adept at adding pixel info while keeping processing noise in check. A Source Direct mode removes upscaling from the video chain, leaving it to your display. Ghostbusters (1080p BD) shines with accurate delineation, while even something as mundane as Desperate Housewives on DVD comes across well, with a healthy sense of stability and sharpness. However, don't expect it to work magic with set-top box TV channels fed through the deck's HDMI input. Comedy Central's endless showings of Friends still appeared shoddy. Web-watchers may be aware that Stacey Spears (US video processing expert and co-founder of Spears & Munsil) has unearthed a 'chroma bug' afflicting UHD BD playback in some hardware. In short, this results in a 0.5 pixel delay between chroma and luma information, which in layman's terms means a very slightly fuzzy image when viewed up close. Really close. Yet the UDP-203 passed test clips kindly provided by Spears & Munsil: the error is not an issue here. In day-to-day operation, the Oppo is well behaved. The UI is uncluttered, layering simple menu options over pretty natural landscape picture backgrounds. Navigation is super zippy; sub menus are sensibly arranged. It's quiet enough in operation for its gentle hum to be masked by soundtrack noise, and disc loading is speedy. I did have one incident were chapter skipping (with Warner's GoodFellas UHD disc) caused the player to temporarily freeze, though. There's a lot the UDP-203 can do that I'm not sure will ever get used by some buyers, such as its full bank of analogue outputs and preamp functionality, including crossover and speaker configuration, plus digital filter presets for the onboard DAC. Secondly, that HDMI input seems more redundant in a world of 4K-capable source devices. There's no doubting the performance of the player's own upscaling, but with Sky Q, Amazon Fire TV and games consoles now outputting at 4K, it's less of a draw. 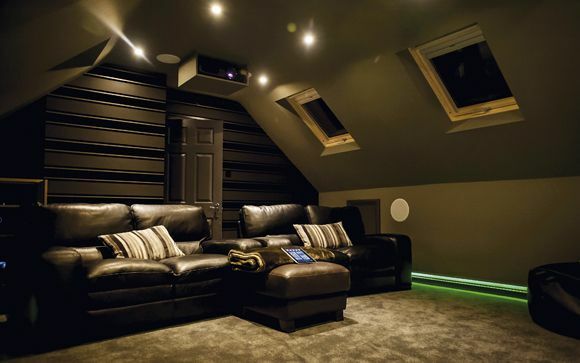 Home cinema owners will probably choose to route everything through their AVR, as usual. This raises the issue of whether the UDP-203 is worth considering over Panasonic's more affordable DMP-UB900 if SACD and DVD-Audio are of no interest. I still reckon it is: Dolby Vision support, in light of recent announcements and screen developments, looks like being a feature serious cinephiles may find hard to ignore, and the performance, plus extensive adjustment options, of this Oppo are high-quality. And, personally, I don't miss Darbee at all. We say: An impressive 4K debut. Dolby Vision support and flexible, extensive features are obvious highlights, as is the excellent build and usability. Image quality excels.